Home / The Archives / RPM Cyclery Has 1 Left! 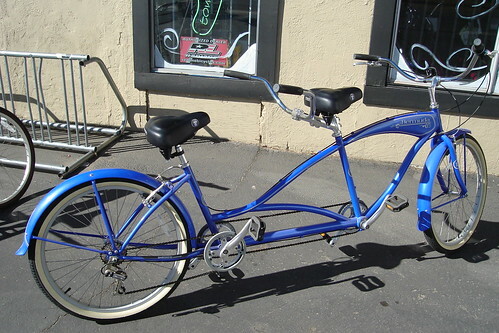 Check out this sweet Torker Bermuda Tandem. RPM Cyclery has one left and its on clearance for a low price of $399! Feel free to call them. Scott Finch will totally hook you up. By the way if you mention the secret discount code….”RL is super cool!” you can get additional discounts on your purchase! Absolutely beautiful! That bike, or one found closer to home, could be just the thing to get my wife out on the road with me. Yeah dude, chicks dig that kind of stuff. You know, spending time together, doing things together. Heck, why don’t you call up RPM Cyclery to see if they are willing to ship the bike to you?